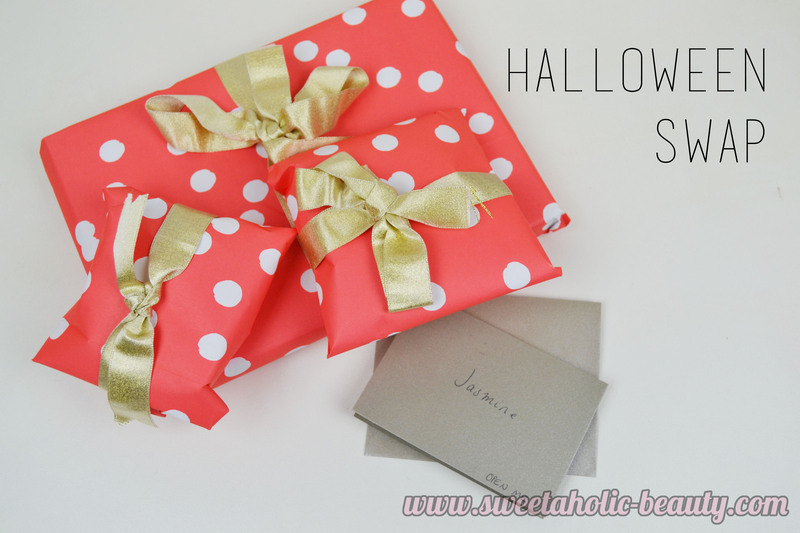 This Halloween I had the pleasure of swapping with two lovely bloggers through the Bloggers United AU Halloween Swap, the first one being JoJo's Beauty (which you can read all about here) and of course the gorgeous Julia from The Sunday Mode. She was so lovely to swap with and turns out we're actually from around the same area of Melbourne! It would have been fun to meet up and exchange but we've both been so busy so we decided to do it the old-fashioned way and posted everything out. I actually love Julia's blog because she writes about pretty much everything - food, fashion, beauty, you name it! Make sure you check out her blog, because you'll be sure to find something you love. She also wrote me a gorgeous little card detailing why she chose what she did. It was really, really sweet. All the goodies I got! I listed crystals as one of my interests for Julia, and it turns out we shared an interest! For those who don't know me too well, I am a real lover of crystals. 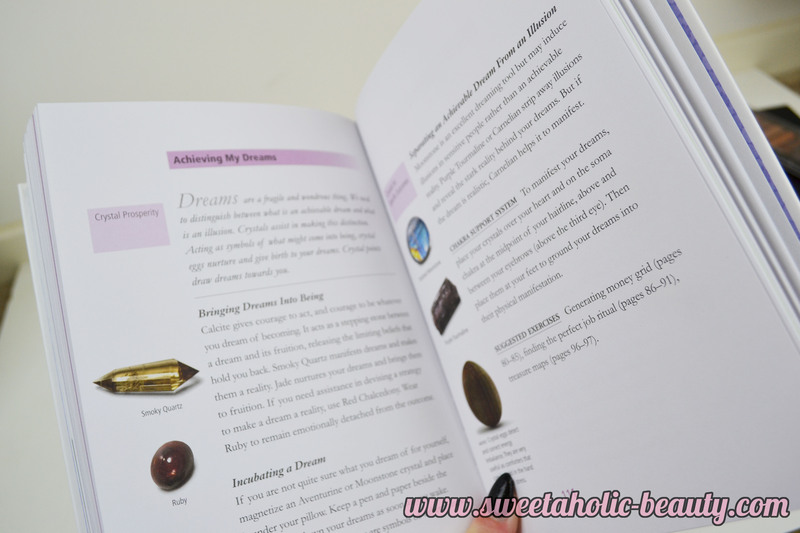 I grew up learning a lot about crystals, natural healing and know a lot about spirituality. I'm also a huge fan of the occult and that sort of thing, which I feel go hand in hand. Julia sent me this absolutely gorgeous piece of Rose Quartz. I love the raw pieces the most, and this one is just lovely. This particular crystal promotes love and positive energy, so I keep it beside my bed now. This is such a gorgeous colour (and actually goes with the crystal) so I'm very happy to receive this. 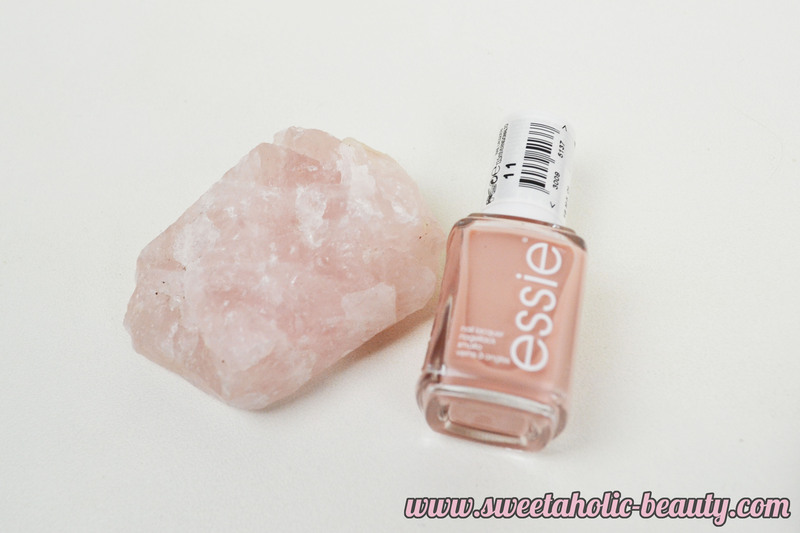 I love Essie but I really do not have enough of them, so this will be a very welcome addition to my growing Essie stash. I feel like Julia read my mind when she got this for me. I've been really utilising crystals a lot more recently (even if it is just the placebo effect - pretty things help calm me, okay?) so I was really wanting to pick up a crystal book. This one is perfect as it tells you the types of crystals and what they do/mean. 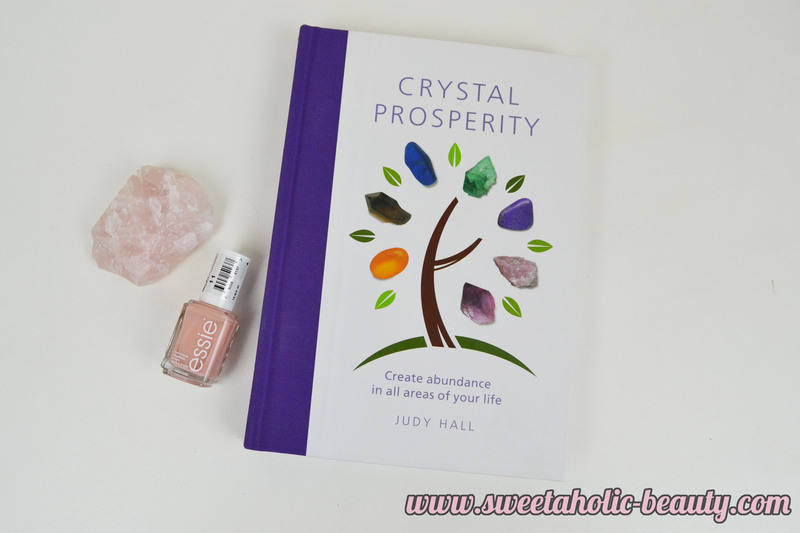 It's a really positive book and would be perfect for beginners or just as an all-rounder staple book. A huge thank you to Julia for being a lovely swap partner. I felt like she really picked out some gorgeous things for me, and it makes me feel slightly ashamed in that I didn't get her enough. I really do hope she enjoys what I send her though. Make sure you check out her blog and her Instagram. Have you done a Halloween swap recently? What did you get? What do you think of Halloween? That's so sweet! She did a great job getting that appropriate products for you, what a sweetie! 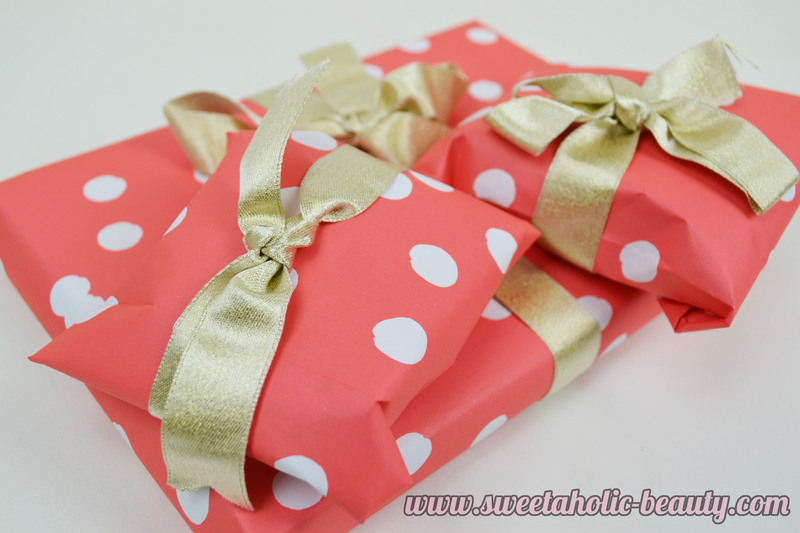 What a thoughtful swap by Julia! I'm now off to check out her blog!